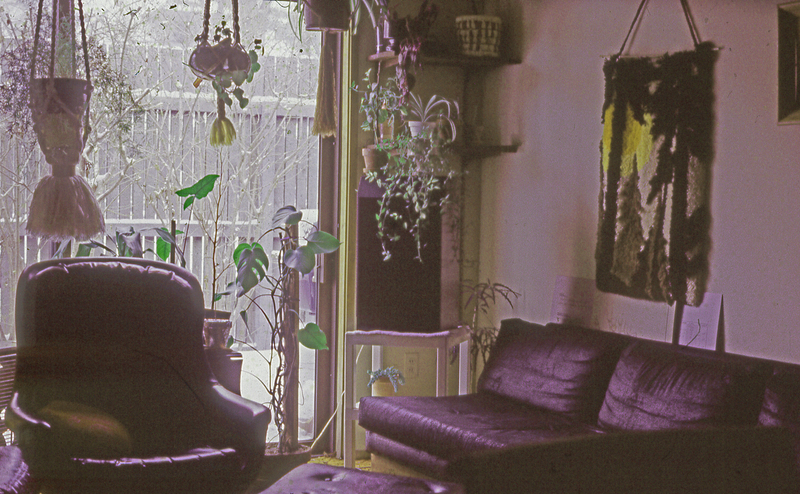 These photos are from a project I did for History of Art 212, Appreciation of Architecture, Spring semester 1979. The project was to highlight the design features of a building. 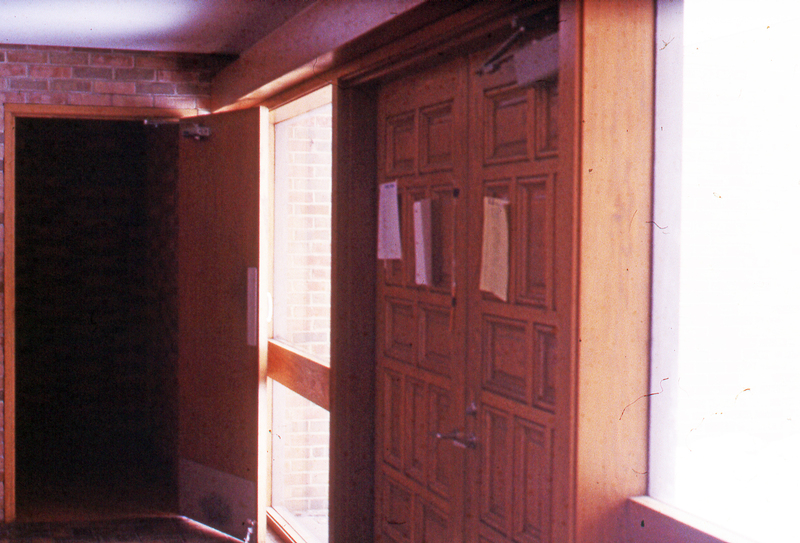 Regrettably, because the project was to focus on the building, most of the photos do not have people in them. In hindsight showing people living in the building would have enhanced the analysis. I want to thank Brother Scott Kelly for taking the trouble to send me the project by mail in May 2018, only 39 years after I did it. Neither Scott nor I have any idea how he ended up with the package, and it's nothing short of a miracle that Scott still had it after all these years. He was kind enough to recognize that it might still have some value to me and contacted me on Facebook to find out where he could mail it. I was a senior that semester. I would then live in Sigma Phi place one more summer before moving out to seek my place in the outside world. You are viewing items 21 to 24 out of 24. 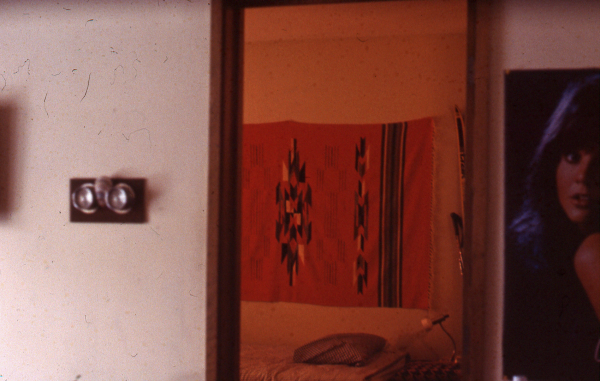 I do not know which room this was, but that is Linda Ronstadt on the wall. This is almost certainly a Senior Wing room since it looks like a two-room suite. 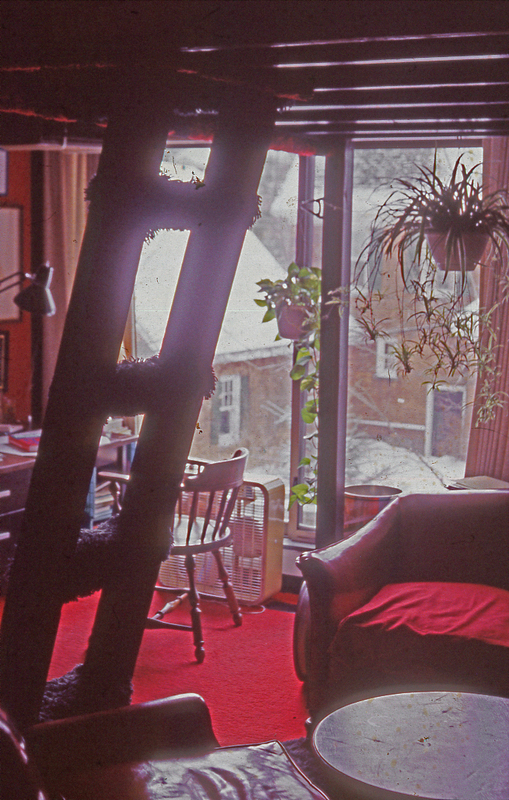 This was my room in the Senior Wing when I roomed with Gerry Cesarato and Alex the Russian wolfhound. I was a sophomore but Gerry was a senior. I do not remember the name of the room but it was the next room on the left past the President's Suite. I may be the only Sigma Phi who has lived in each of the four Senior Wing rooms, since I lived there for three school years and also three summers. My roommates included Gerry, Brian Dunbar, Paul Brown, pledge brother Jack Baker when he was Head of House, and Neil Hediger (and his parakeet Omar).